Meet Meredith, our first reference design. 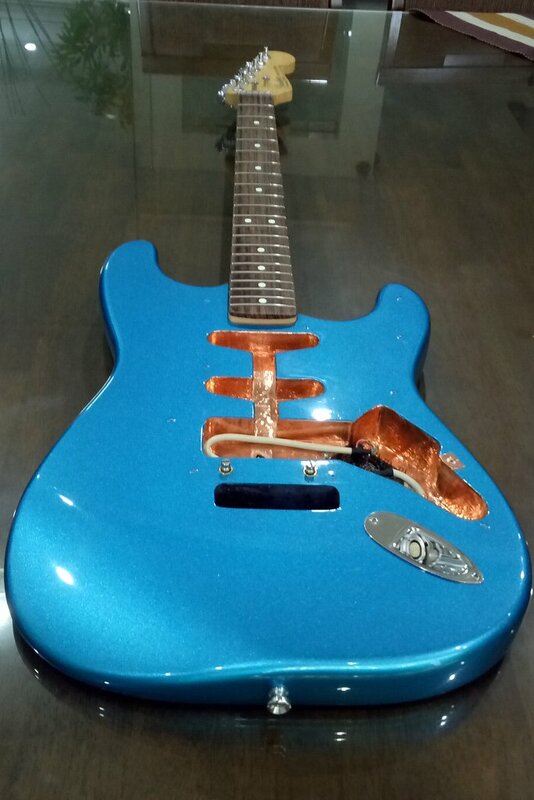 She’s a heavily customized Fender Stratocaster (with Grover locking tuners, passive pickups: Di-Marzio Chopper neck, EMG passive bridge and Di-Marzio Area-67 middle, Fender LSR Roller Nut, Fender American Standard 2-Point Stratocaster Tremolo Bridge). 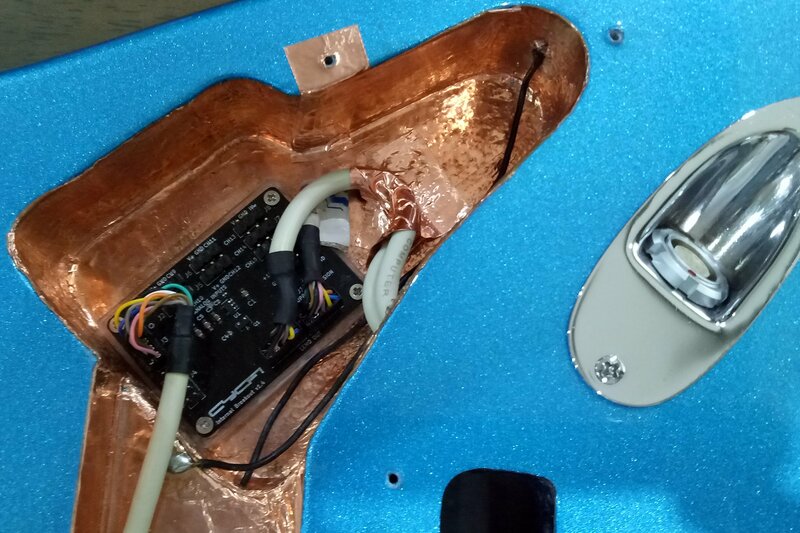 The passive EMG pickup is paired with the Nu Multi 6 at the bridge position. All volume and tone pots are replaced by Bourns PDB181-GTR Series potentiometers. The third tone knob is repurposed as a CV potentiometer for controlling external effects via MIDI. This is probably the most basic Nu Multi setup one can conceive, and is meant to be that way: as simple as possible. Inside, you’ll see the Nu Internal Breakout that connects to the LEMO style multi-pin connector that replaces the standard mono jack. The passive monophonic pickups are wired as you would any passive setup, with one master and one tone control. I chose to pair the passive EMG pickup with the Nu Multi because, unlike most Strat-style pickups, it does not require extra space at the bottom of the pickup, and mounts just fine next to the Nu Multi. I’ll describe the complete build in a subsequent post, along with wiring diagrams, and hopefully some sound clips. 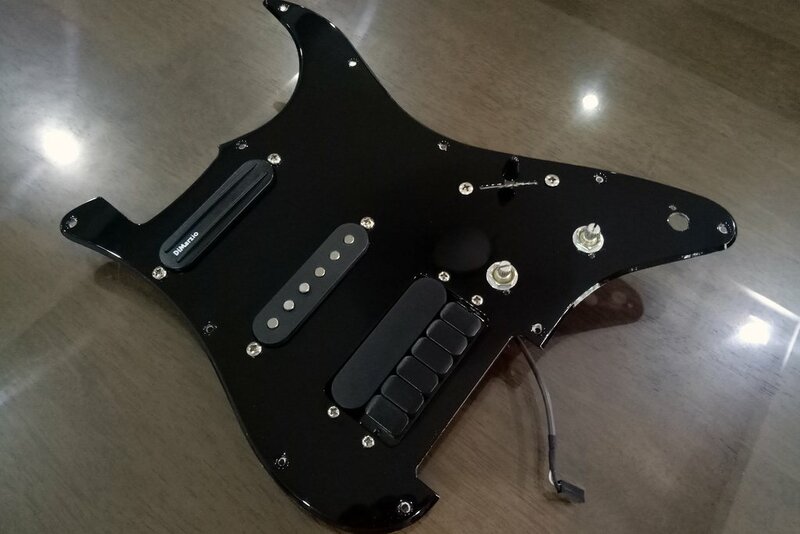 We are also be building other reference design guitars, as mentioned in my Roadmap post, including one for the Modula, and another for the much anticipated Infinity system.